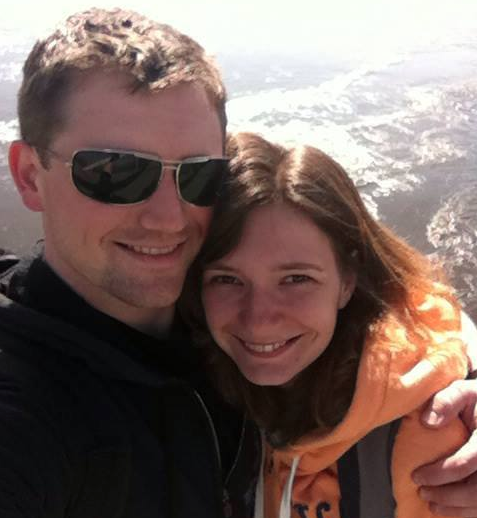 Welcome to David and Katya Snead’s blog! We are so excited to have you here! We like to use this blog to update our friends and family on how we are doing, what we are doing, and just help you feel more a part of our world overseas. Feel free to peruse around our page, sign up for our newsletter, and just have fun getting to know us. We are a couple of missionaries sent out of Horizon Indianapolis and serve in God’s Love, a local Baptist church in L’viv, Ukraine. David is the church administrator and makes evangelistic shortfilms, while Katya ministers to youth, works in a preschool, and translates for teams that come from America. I first visited Ukraine on a Calvary Chapel Bible College Indianapolis Practicum in 2006, and it was then that God began to burden my heart for missions work among the Ukrainian people. After serving as an intern at the Bible college for three years, I moved to L’viv, Ukraine and began serving under Michael Pratt at New Horizons L’viv. I managed the website and social media for the church there and was involved in many other ministries. I met my wonderful wife, Katya, about a month after I moved to Ukraine, but we didn’t start dating until 2012. I’m originally from Texas and have lived in five states. I’ve been attending Calvary Chapels since about 2004 when my family moved to California. I got saved in 2004 in a Christian camp. I then started to attend a local baptist church in L’viv called Hosanna. After that, I joined a home fellowship and started participating in ministry with orphanages. In 2009, God called me to join a new Baptist church plant called “God’s Love” and be a leader in the youth ministry there. I also was a counselor at different camps during the summer and led a Bible study for girls. In 2012, I followed my future husband and joined New Horizons L’viv; however, we’ve since returned to God’s Love and are very involved there.